It’s been a long time coming, but finally, the wheels are in motion for Fox’s eagerly-awaited reboot The Predator. Except, it’s not actually a bonafide reboot, as writer-director Shane Black plans to spin a new chapter in the story that’s shaping up to be more intriguing with every sound bite. After a killer first outing, a somewhat less-punchy sequel, the perplexing Alien vs. Predator films and whatever Predators was, Black’s words are music to one’s ears. There’s no point installing someone as talented as him at the helm and insisting on a repeat of earlier failures. Speaking of those movies, Black went on to confirm whereabouts this new jaunt lands on the franchise timeline: the present day. So, with that in mind…. we still don’t know a whole hell of a lot about the film. Picking up 31 years after the events of the original outing could imply any number of things, but the big question is: will Arnold Schwarzenegger be back? Several weeks ago, Black spoke of his initial reticence to take on the project. That is, until the studio convinced him that this wasn’t going to be another lo-fi, small-budget affair. The goal is to craft a fully-expanded “event” franchise similar to the likes of Iron Man 3 and Alien, which almost certainly guarantees that we’re in for many more installments of this classic sci-fi property. 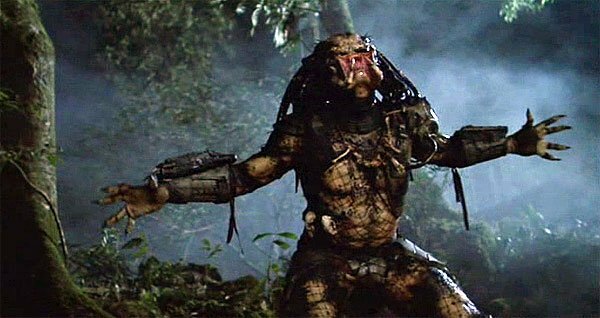 For now, keep your eyes peeled for The Predator when it stalks into theaters on March 2, 2018.